Despite what your significant other might tell you, every man needs his man cave. A space to unwind and forget about the stresses of everyday life is essential. Whether you need to forget about your boss that’s constantly on your back or just need some quiet time away from the wife and kids, a separate space to call your own can do just the trick. It’s not just a matter of creating your own sanctuary out of greed. 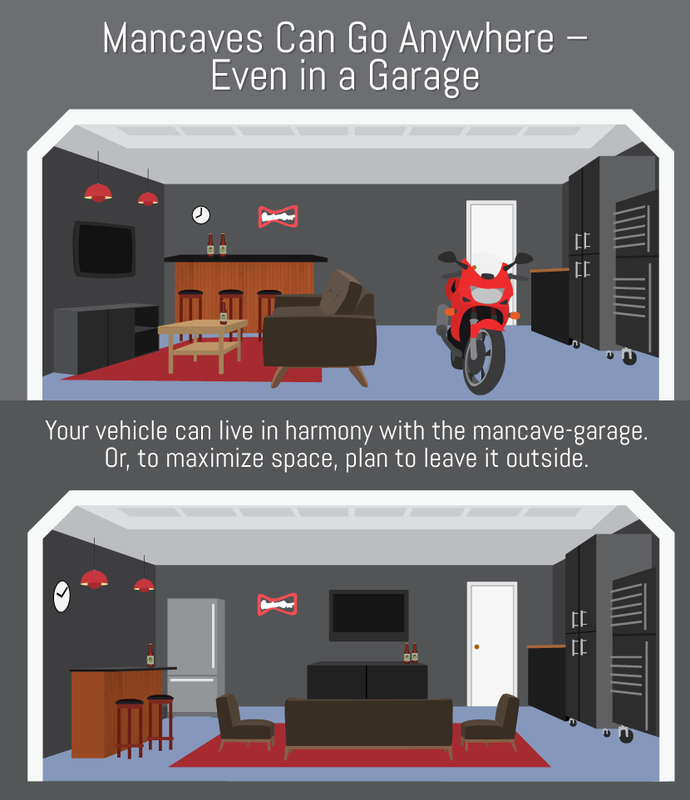 There’s actually some science behind the need for a man cave. Studies have shown that men experience a drop in cortisol, the hormone that’s responsible for stress, when they spend some alone time at home. Basically, man caves are good for your overall well-being. While most guys think that a man cave is out of reach, you’d be surprised to know that it’s possible to create a space with any budget. Don’t let a lack of space or small budget keep you from relaxing. While you may not be able to get a sprawling space filled with top-of-the-line luxuries, you can still establish the perfect place to let loose unfiltered and uninhibited. The first thing to consider is location. The right location of your man-cave can make a huge difference in its overall comfort. You don’t want to choose a space that is being used for other purposes. A multi-purpose room will only cause distraction and strife. After all, the point of a man-cave is to get away from it all. The best location is going to be as far away from your home’s central living location as possible. This ensures that you’re free from noise and distraction. Not only that, but distance will make it harder for your family to hear the movie you have blasting at full volume. Basements are ideal. They’re spacious and secluded. Other options include a spare bedroom that’s not being used or a garage. When it comes to layout, your location can greatly affect what you can do. Does your space have electrical and plumbing at prime locations? 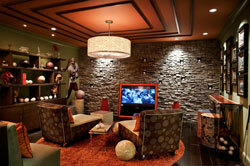 A sprawling finished basement with plumbing and electricity just opens the doors to an imaginative man-cave. If you don’t have that, you must plan your cave accordingly. You should examine the area and separate the space into different zones. If you have plumbing, you can have a wet bar and designated bathroom. Of course, you’ll want an area for a media center. Depending on your square footage, you can include things like a gym or game area. The key is to plan and prioritize. If you need more detailed information about location and layout, head over to Fix.com. Chances are, you’re going to be using your man-cave a lot, and for many years. It’s important to plan ahead. Your needs may change over the years, so it’s a good idea to look ahead and provide yourself with a bit of flexibility if you decide to make any changes. Here are some great pre-planning tips. If you’re planning on starting from scratch, strategically placing your utility services is a must. Whether the service lines are placed underneath poured cement or in the wall studs, you should take the time to plan where everything will be. Even a rough installation that of lines that won’t be used is better than no installation at all. Plumbing, electrical lines, and AV lines should be added beforehand. Even if you don’t plan on using these service lines immediately, early installation can help you avoid costly changes down the line. They should be placed close to where you’ll need them. If you plan on having a bar, make sure the plumbing is near so that you don’t have to tear down walls to make it happen. The same goes with electricity for your media center and lighting. 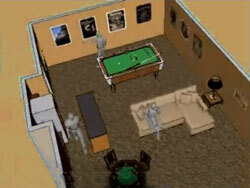 An often overlooked factor in planning man-caves is the orientation of the space. The orientation will have an effect on the comfort of your cave. 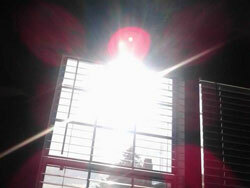 If you have windows, you may want to plan your layout to ensure that the sunlight doesn’t glare off your television. If you’re starting a new build, you can easily point the building away from the rising and setting sun. If not, you can manipulate the orientation of furniture or invest in some thick curtains. The orientation of items in the cave is also important. If the space shares a wall with an adjoining room, you should move furniture around so that you don’t bother other family members and vice versa. A loud sound system against a shared wall is only going to cause trouble. Getting access to your man-cave is essential. While a standard door is big enough for people to fit through, it’s not always the case with gear and furniture. 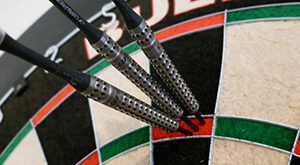 If you plan on having a large television or billiard table, you need to have a large enough door to get everything in. 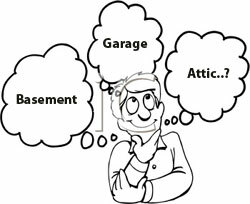 In a garage, you won’t have any issue fitting in large items. However, basements and separate spaces can prove to be a hassle. It’s better to plan on a bigger door now than later finding out that you can’t even use that big screen television you bought. A big door is also handy if you plan on making any renovations in the future. While man caves are usually designed to be separate from common areas of the home, you may choose to use the space for multiple purposes. For example, a garage man cave will be used to tinker on your ride and watch the big game. Planning separate and joined spaces ahead of time will make things easier in the long run. Erecting a wall between different spaces will keep things neat and safe. You don’t want grease from your car getting on your comfortable sofa. The same goes for different entertainment spaces. You may want to integrate the bar area with the entertainment area while separating the game area for when friends visit. Proper ventilation and an HVAC system are crucial for comfort. Whether your cave is in a separate building or down in the basement, you want to make sure that you are comfortable at all times. Installing a separate HVAC system from the rest of the home is a great idea. In larger homes, HVAC systems aren’t always made to run in the basement simultaneously. A separate system will give you ultimate control for your comfort. Ventilation is also important if you plan on using your man cave as a workshop. A powered ventilation system will keep you from inhaling any harsh fumes. You should include these systems at the beginning of your planning process so that you are comfortable and safe the moment you step foot into your man cave.